Celebrate and raise awareness for Earth Month with Brighton Collectibles. 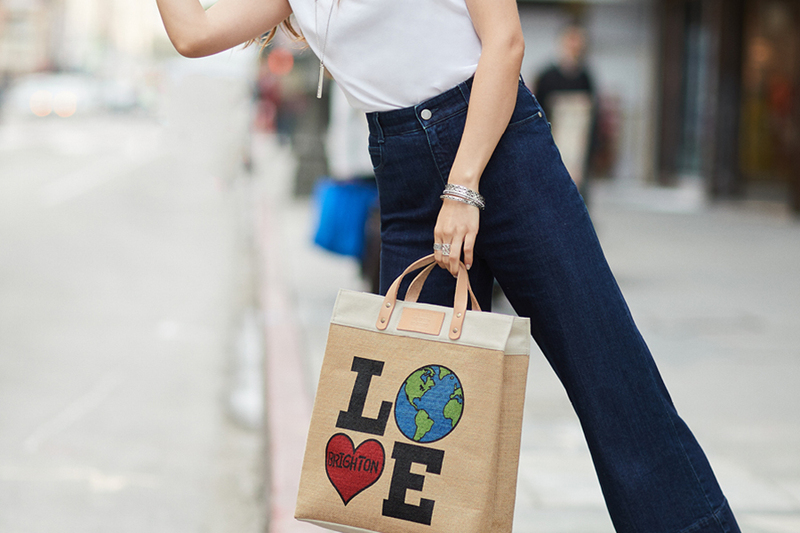 Receive an exclusive, eco-friendly Love The Earth Tote with your same-day purchase of $100 or more. * Take the effortless, printed silhouette—with your Brighton accessories of course—to the farmers market or on a weekend getaway as a stylish nod to protecting the planet. Limit one per customer, while supplies last. Purchase total includes merchandise only. Gift Cards and sales tax not included. Cannot be combined with other offers. If you decide to return one or more items purchased as part of a Gift With Purchase offer, you must also return the promotional item (Love The Earth Tote). At participating retailers only. Offer ends April 30, 2019.